XBOX-ONEHalo Wars 2 - Standard edition XBOX-ONE. Digital download Halo Wars 2 - Standard edition XBOX-ONE. 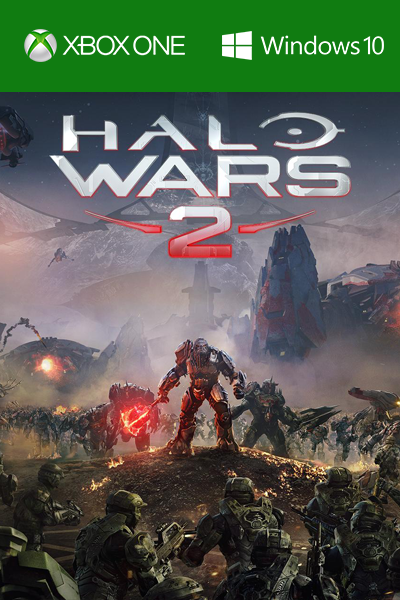 Best price Halo Wars 2 - Standard edition digital download.Halo Wars 2 - Standard edition XB1. Digital download Halo Wars 2 - Standard edition Xbox-One. Best price Halo Wars 2 - Standard edition digital download.These codes have no expiry date. Yes, that's right! At no additional cost, when your order Halo Wars 2 - Standard edition for your XBOX-ONE from Livecards.eu, you will also be able to play on your WINDOWS 10 PC! Buying Halo Wars 2 Xbox One/PC from Livecards.eu is as easy as 1 2 3! Simply fill in your email address, select a payment method and complete the payment! We have some of the cheapest Halo Wars 2 Xbox One/PC on the market.